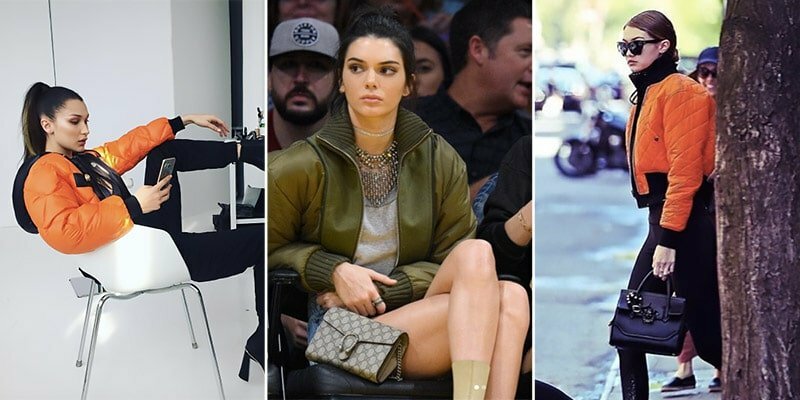 Want to know what are the coolest trends this season? Look no further than your favourite celebrities for inspiration. 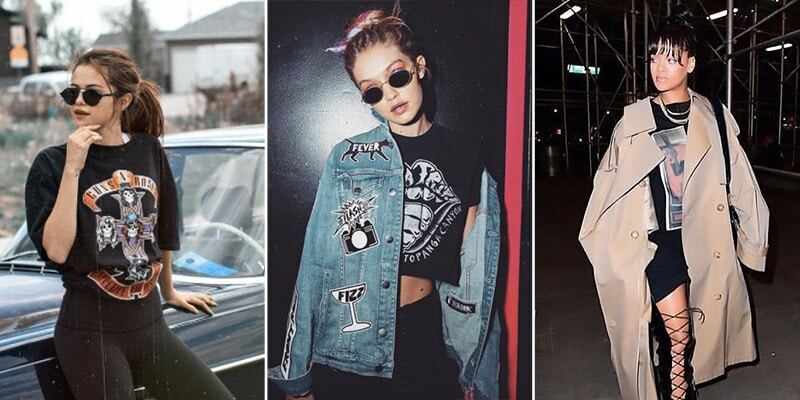 From Rihanna and Selena Gomez to Kendall Jenner and Gigi Hadid, these stylish stars sure know how to start and rock a trend. So, when it comes to injecting your own wardrobe with some on-trend elements, there’s no better place to look. Whether it’s coloured puffer jackets, statement sequin dresses or winter crop tops, this season’s hottest trends are fun, fashionable, and chic. Invest in each of them now, and we promise that you’ll be looking like an A-lister in no time at all. Winter is here and, as such, investing in outerwear is a must. Thankfully, you don’t have to sacrifice style to stay warm this chilly season. Instead, just follow the lead of stylish stars and famous models, such as Kendall Jenner and the Hadid sisters, and invest in a coloured puffer jacket. Big, bold, and seriously insulating, these cool jackets will keep you completely comfortable and chic all winter long. To nail the look, choose your favourite colour, such as orange, khaki, pink, red or purple. Then, partner your bulky puffer with some skinny jeans and slim, heeled booties to balance the look and complete your outfit in style. Celebrities love statement looks and eye-catching ensembles. As such, it’s no surprise that pop colour, wide-leg pants are trending heavily this season. Bold both in colour and shape, these unmissable trousers are ideal for standout outfits. While you may not have any red-carpet events coming up, you can easily try this trend for yourself as part of a contemporary evening look. To keep things completely current, choose from on-trend colours, such as red, pink or warm brown. Then, pair your wide-leg trousers with a top in either a matching colour or a complementary hue. Just remember to keep your silhouette rather simple on top to allow the shape of your pants to take centre stage. 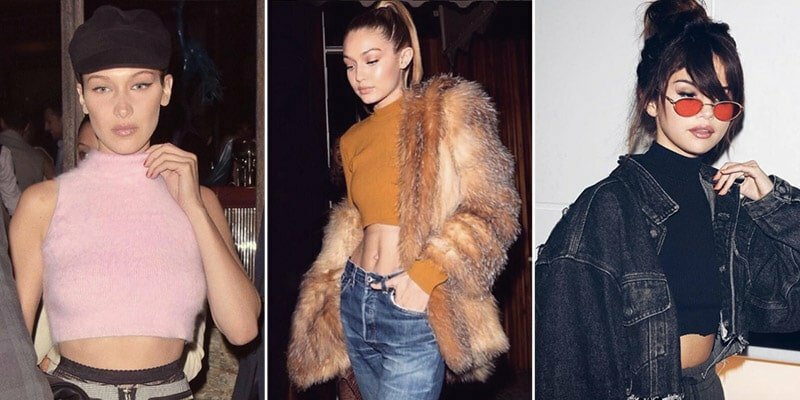 Stars like Selena Gomez and the Hadid sisters love their crop tops so much that they’ve decided to take them into winter. It may not be the most practical trend of the season, but it is one of the chicest. To rock a winter crop top like a star, all you need to do is pick the right type and pair it with the right items. Start by selecting a crop top that’s long sleeved, high-neck or both in a seasonally appropriate fabric, such as a ribbed knit. Then, partner your winter crop top with high-waisted pants or jeans and a thick or oversized jacket or a coat. Doing so will help to keep you warm while still allowing you to bare a stylish sliver of midriff like your favourite celebs. If you want to know how to wear red, which happens to be this season’s hottest colour, look no further than the world’s most stylish celebrities. These chic stars can show you how to rock the fiery hue with a fashionable edge. All you need to do to channel their hot style is invest in a red jumper. Whether it’s a loose knit, turtleneck or sweatshirt, a bold, ruby, crimson or candy red jumper can add a seriously on-trend touch to your winter wardrobe. To keep your red look A-list approved, make sure that your red jumper is the standout piece of your outfit. To do so, just pair it with neutral hues, such as black, white or cream. Do you have an event coming up where you need to “wow”? A-list stars like Florence Welch know precisely what you should wear. A statement sequin dress is a perfect option for when you need an evening outfit that’ll impress everyone around. The dress is sure to create an eye-catching ensemble that’ll turn heads and make you the centre of attention. So, if you’re ready for such a bold look, choose an all-over sequin style in a chic metallic hue. While gold and silver are always winning choices, less expected colours, such as pink, can make a daring alternative. As sequins offer a lot of texture and weight, opting for a well-fitted design or short style is also a good idea and will achieve a more flattering and balanced appearance. While feminine hues, such as red and pink, may be trending heavily this season, the celebrity set is also loving edgy and attitude-filled designs. In particular, band T-shirts are the top of choice for a cool, rock and roll aesthetic right now. Spotted on celebs like Selena Gomez and Rihanna, band T-shirts are popping up everywhere at the moment. So, if you want to create a comfortable outfit with an injection of punk personality, look no further than this classic garment. Whether you like Guns N’ Roses, the Rolling Stones or some upcoming underground band, be sure to buy a T-shirt featuring their name and logo for a winning wardrobe item in 2017. Along with red, your favourite stars are also loving pink this season. In fact, they love it so much that a single item in an outfit is just not enough to satisfy their cravings for this pretty hue. Instead, celebs, such as former pop icon and now designer, Victoria Beckham, are rocking the feminine colour from head to toe. Now, it’s your turn to try the trend for yourself. To nail the look, you can either choose to wear matching shades of pink or carefully mix different tones. For a simple outfit with an eye-catching appeal, consider rocking a pair of pants and a jacket in the same shade with a top in a different hue. The result will be a coordinated ensemble that feels fresh and fashion-forward.